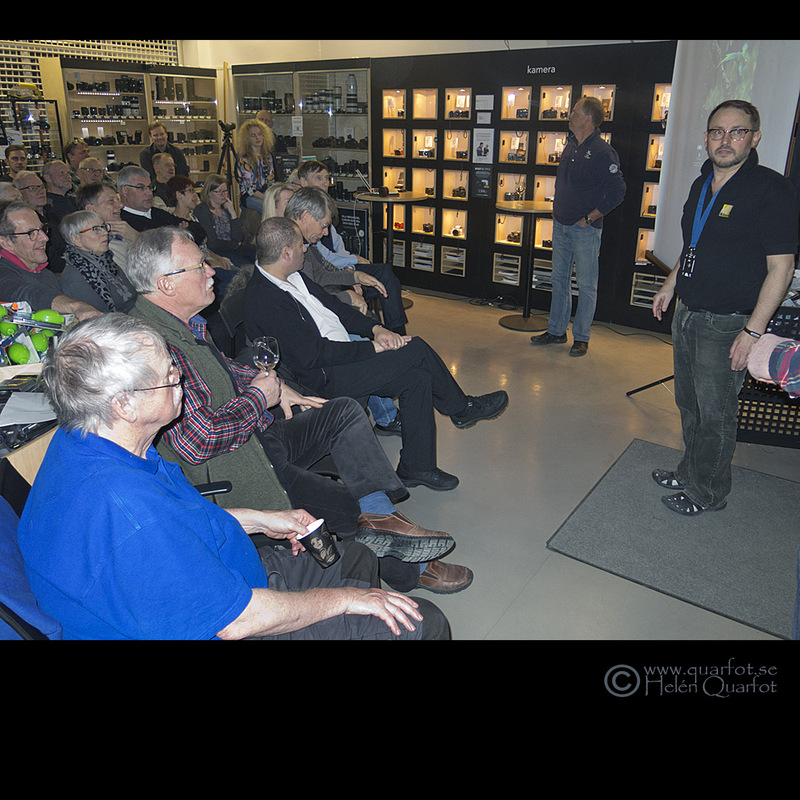 I gave a fully packed lecture, about mainly bird photography, last wednesday for Lidingö Photo-club one of the Swedens most active clubs. Lovely audience! And the big shop of Scandinavian Photo was filled to the brim. Image copyright Helen Quarfot.